Telestream Switch 4 Plus is designed for video editors and post-production professionals and provides the tools to efficiently play, QC, and fix. Switch 4 Plus adds improved performance, expanded file support, OP-47/OP-42 Teletext caption playback, and team collaboration. Switch 4 Plus allows you to play an extensive list of media files (including with captions and subtitles) with smooth frame accuracy. After playback, you can inspect video and audio properties, captions, and subtitles. Make the changes you want, such as trim, scale, crop, and single file transcoding. Note: Telestream Premium Support Mandatory First Year for Switch Plus is required to be purchased along with Switch Plus. Proof of purchase of the support plan will be requested from you when activating Switch Plus. Particular attention was given to the performance of caption decoding and making sure efficient use is made of file system reads and writes, as well as only decoding the data that is actually needed. The ability to open files and play them back while they are still being written to disk enables live capture workflows that include previewing the quality of live video captures, extracting portions of the already written video for use in social media promotion of live productions, and the ability to confirm the media encoding of content coming from live capture systems. Switch Plus is capable of decoding and displaying OP-47 and OP-42 Teletext captions. This support maintains format parity with Telestream's caption authoring tools — MacCaption and CaptionMaker — and will enable users to play back their captions and view them to confirm positioning, styling, and sync accuracy without the need for expensive hardware decoders. Collaboration feature allows users to create and view flags on the timeline that contain comments, errors, or feedback. Share these flags between team members using a sidecar flags file to allow collaboration to occur without making any changes to the video. Simple to understand formatting of the flags document allows for automation systems to be able to create reports that can be reviewed and visualized on the timeline. Frame-accurate playback of professional media files, including embedded captions and subtitles. Multi-format playback support includes support for MXF, IMF, GXF, MPEG-2 Program Streams and Transport Streams, and formats such as MOV, MP4, WMV. Switch Plus can also play HEVC and 4K, DNxHD, and JPEG2000 files. Switch Plus has all the playback control features you'd expect in a professional player, such as JKL navigation, fast forward and rewind, slow motion, and single-frame forward and back. "Jump To" allows you to jump to a specific timecode, frame, or time in your video. 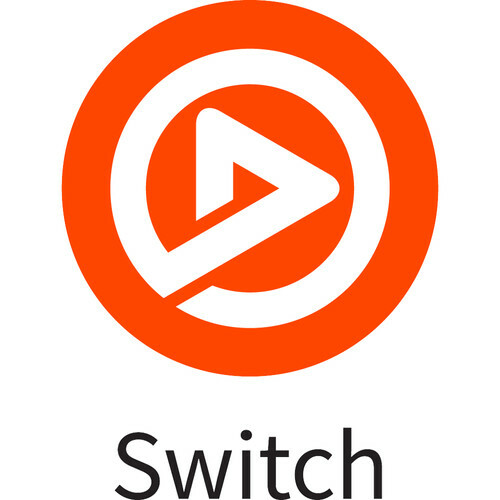 Switch Plus will play back embedded CEA-608 and CEA-708 captions, as well SCC, DVB, TTML (iTT and SMPTE-TT captions), WebVTT, SRT, and STL subtitle files. Switch Plus offers full support for CEA-708 caption decoding, including advanced 708-only features like Unicode character support. Switch Plus will also decode captions from virtually all wrappers and formats, so you can verify captions within your MXF or Transport Stream file. Check video and audio properties such as audio channels, speaker labels, aspect ratio, clean aperture, bitrate, frame rate, metadata, encoding formats, and more. Use the Audio Meters to solo or mute audio channels and inspect true peaks and momentarily loudness values. Switch displays all the relevant media information about your file in an intuitive, well-organized interface. The inspector is deep enough to be meaningful, without giving users so much information that it becomes cumbersome. By switching to edit mode, users can modify settings and export a new file. 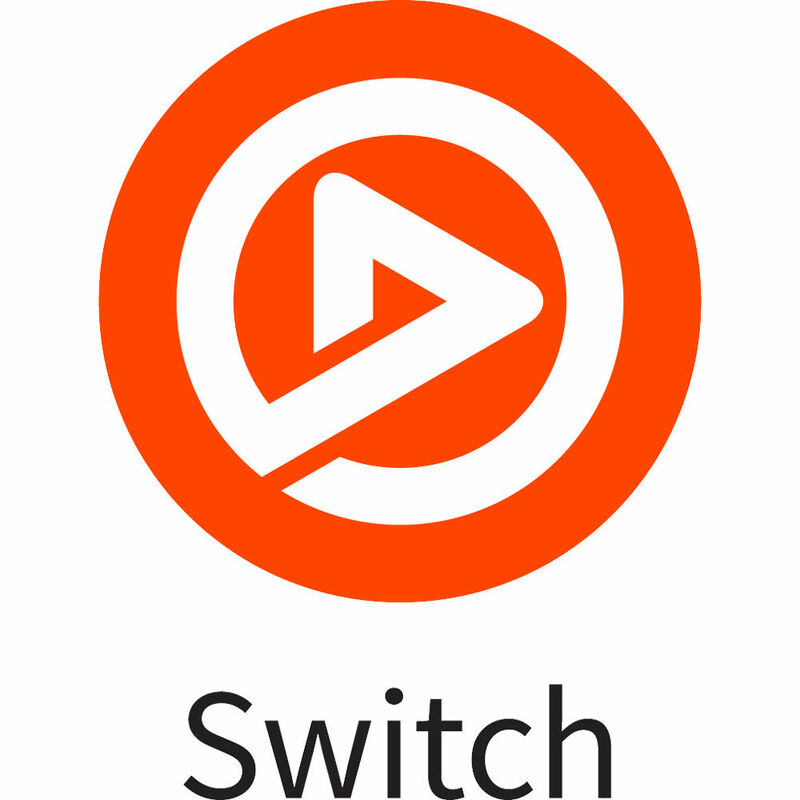 Switch Plus lets you specify a new file format or new video or audio codec; trim, scale, or crop the video; and much more. Export to Apple ProRes (on Windows version of optional Switch Pro only), H264, MPEG-2 Video, MP4, MPEG-2 program streams and transport streams. In the audio tab, you can split or join different audio tracks, rearrange audio tracks, change speaker assignments, and change the audio format and sample rate. Switch Plus also supports downmixing: take a file with eight channels and mix it down to stereo. Export your video directly to Vimeo, YouTube, or Facebook from within Switch Plus. Select export, choose your destination, and Switch Plus will publish directly to your destination and save a local copy on your computer. Switch will create the appropriate files for your destination, taking the guesswork out of encoding and submitting content.